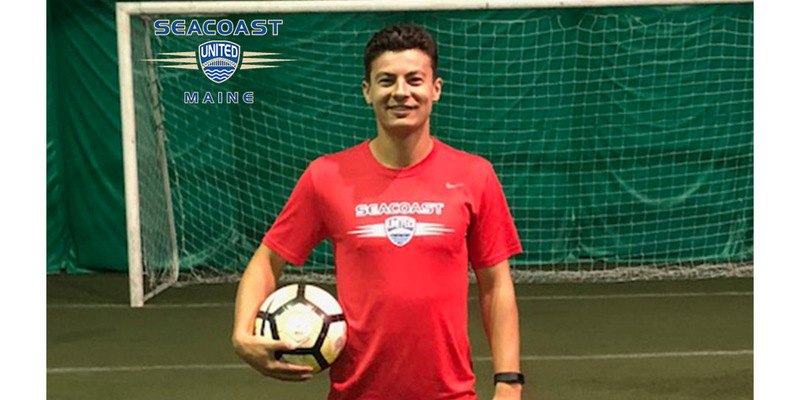 This week’s “Get to Know” article, we will be learning more about Seacoast United Maine South’s newest Full Time Staff Member, Tom Urquhart. Tom will be spending a large focus of his time developing soccer player in the state at the U12 and under ages. Tom will be a great presence in our many Community Programs across the state! He will also coach the 2007 Girls Premier White team. I am from a town called Bury, which is just north of Manchester in England. I have played soccer basically all my life since before I can remember. I recently graduated from Seton Hill University in Greensburg, Pa with a B.S. in Exercise Science and a minor in Psychology. Growing up I was selected for my town’s schools teams, and the county teams for my area. I also had brief spells at academies such as Blackburn Rovers FC and Blackpool FC. Between the ages of 16-18, I played in the Accrington & Rossendale (Accross) College Football Academy, where we played against some of the best non-league teams in the country. I also played for Ashton United’s youth team. I achieved a soccer scholarship at Seton Hill University, where I played in the PSAC Conference of NCAA D2 for the last 4 years. 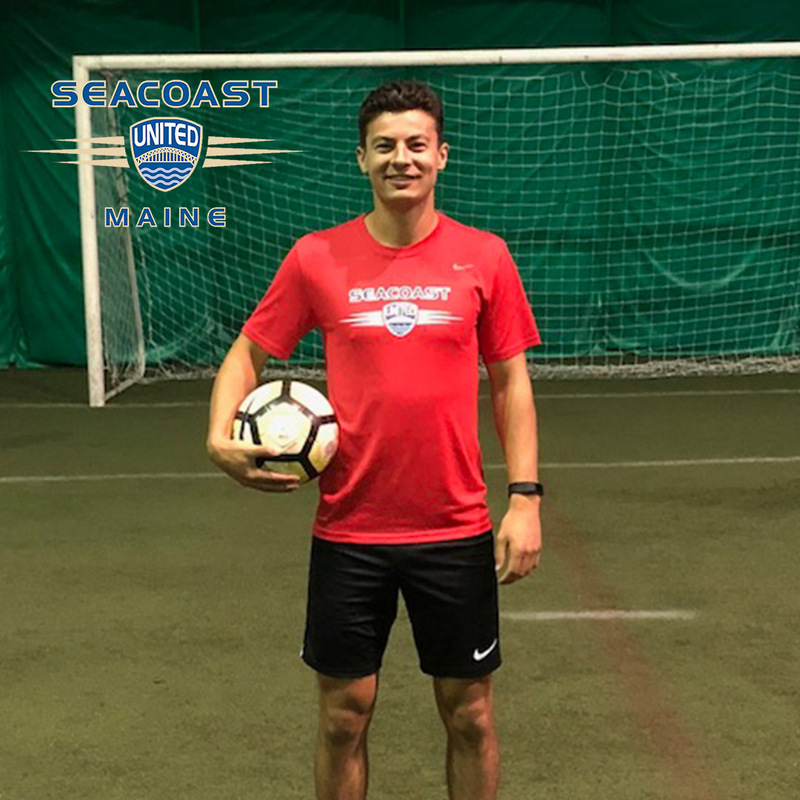 I have also played for Seacoast United Maine in the NPSL over the last couple of summers. Coaching wise, I passed my FA Level 1 Coaching Badge back home in England. During the summer of my Freshman year of college, I coached soccer camps for UK International Soccer all over the West Coast of America in locations such as LA, Sacramento, The Bay Area, and Portland (OR). I also helped out with soccer camps at my University and with tryouts at Seacoast last summer. During the Spring of my Senior year, I completed my internship in a performance gym called the Virtus Institute where I did personal training for my fitness business, TURQ PERFORMANCE. I am looking at taking my CSCS certification as well as furthering my soccer coaching badges. I am a member of ACSM and NSCA and hold a First Aid/ CPR/ AED certification with the American Red Cross. What made you come over to the United States? During my time in the Accrington & Rossendale (Across) College Football Academy, quite a few of my teammates and players on the Girl’s academy team were getting scholarship offers from America. This sparked my interest as the opportunity to gain a degree whist playing soccer everyday seemed like a no-brainer. I did my research and eventually got a scholarship offer from Seton Hill University in Greensburg, Pa.
During the summer of my Junior Year, I wanted to play in the NPSL over the summer to keep my fitness up and improve as a player. Therefore, I emailed Seacoast United Maine as it seemed like a great program and in a great location. I enjoyed my experience so much that I wanted to stay up here and coach. What do you like the most about Maine and why? The thing I like the most is the beaches and the warm weather during the summer. There is nothing better than taking a dip in the ocean to cool off on a hot summers day. However, I have still yet to experience the cold Maine weather in the winter so that should be interesting. First of all, I would say my family have been the most influential, especially my Dad, for pushing me to always strive to be better and work on my improving myself every day. All my friends, coaches and teachers throughout my career have also had a profound effect on my life. I would also like to give a special thanks to Dan McCarty, my Seton Hill University coach, for giving me the chance to come out to America on a soccer scholarship. Which current or former professional soccer player did you admire the most growing up and why? Being a Liverpool fan, I would have to say Steven Gerrard. He was an absolute rock in the midfield for both club and country for over a decade and almost single handily inspired Liverpool to come back and win the 2005 Champions League Final in Istanbul. I also admire Cristiano Ronaldo, as his tricks and flicks are unreal. I like to go the gym and workout and am very interested in testing out the latest training methods on myself. I love to travel, visit big cities and see new places. I am very interested in fashion and like to stay up to date with the latest trends. I also like to hang out with my friends and family.